He’s not the only tech-inclined individual to kick up a fuss either. 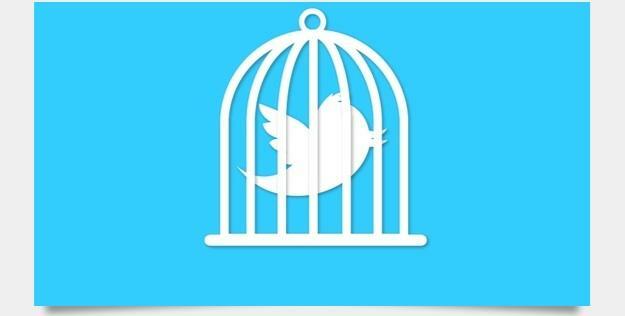 Various developers, tech editors, and users of Twitter have begun using the hashtag #OccupyTwitter to indicate their general displeasure with Twitter’s restrictions of third- party apps. The new restrictions limit applications recreating the traditional Twitter experience (think Echofon or Tweetbot) to 100,000 users. Those apps with 100,000 or more users already are only allowed a 200 percent increase in users. The creater of Klouchebag, Tom Scott, wrote a blog post on Friday explaining exactly what he thinks of Twitter’s new rules. Specifically, he targets Twitter’s desire to start “squeezing out third-party Twitter clients” and requiring a “Sign-in with Twitter” button for web services that use Twitter’s API. “For me, the immediate effect of this is that my Klout parody Klouchebag, along with a few other things I’ve designed, will die,” Scott wrote, though he thinks the little blue bird will survive. Nova Spivack, CEO of Bottlenose.com, has a different opinion on the future of Twitter. Mainly, he doesn’t think it will survive without the third-party developers that helped it flourish. One of the first to start using the occupy hashtag, Spivack has created a petition via Change.org to convince Twitter to maintain its promise to be open source.